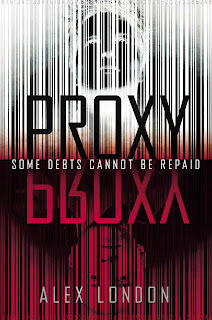 Alex London is the author of many kids' books, and his first YA novel, Proxy, came out on Tuesday! To celebrate the release, Alex is touring the blogosphere, sharing mini excerpts of his book and giving readers extra insight into the characters. "The adventure novel of the year! Inspired by The Whipping Boy and Feed, this adrenaline-fueled thriller will appeal to fans of The Hunger Games for its razor-sharp insights into the nature of human survival and its clever writing. Knox was born into one of the City's wealthiest families. A Patron, he has everything a boy could possibly want—the latest tech, the coolest clothes, and a Proxy to take all his punishments. When Knox breaks a vase, Syd is beaten. When Knox plays a practical joke, Syd is forced to haul rocks. And when Knox crashes a car, killing one of his friends, Syd is branded and sentenced to death. A fast-paced, thrill-ride of novel full of non-stop action, heart-hammering suspense and true friendship—just as moving as it is exhilarating. Fans of Anthony Horowitz's Alex Rider series, James Dashner's Maze Runner, Patrick Ness's Chaos Walking series, and Marie Lu's Legend will be swept away by this story." So that’s what this was: proxy business. What a hassle. "I had the most fun writing Knox and struggled with him the most. He is not a terribly likable boy at first and is, I hate to admit it, a lot like me when I was a teenager. Like Knox, I grew up privileged. Like Knox, I was a trouble maker and like Knox, I rarely interacted with those less fortunate than me. I too nursed some hidden anger and built walls between myself and those around me. Of course, I wasn’t nearly as big a jerk as he is! Knox doesn’t care about the consequences of his actions because he isn’t the one who suffers for them. He has this amazing sense of entitlement and a complete lack of empathy for others. He doesn’t see his proxy as person in the beginning of the book, at least not as a person who matters to him. To Knox, Syd is just a product to be used as necessary. He has no more moral feeling about Syd’s suffering than he does about his robotic vacuum cleaner. Of course, he has his reasons for cutting himself off from feeling and the book explores those as he grows and expands his world view. I hope, by the end, readers can sympathize with him a little, or at least understand, if not forgive. The book is, in a way, his journey as much as it is his proxy’s. Knox isn’t seeking redemption, but I like to believe, to an extent, he finds it. But I also don’t want to tell readers what to think. Knox is a flawed kid, like most kids, with moments of cruelty and moments of grace. I’ll let the reader sort out where he lands for them, but I certainly grew to love him." Sound good? You can learn more about Alex by following him on Twitter, and checking out his website. 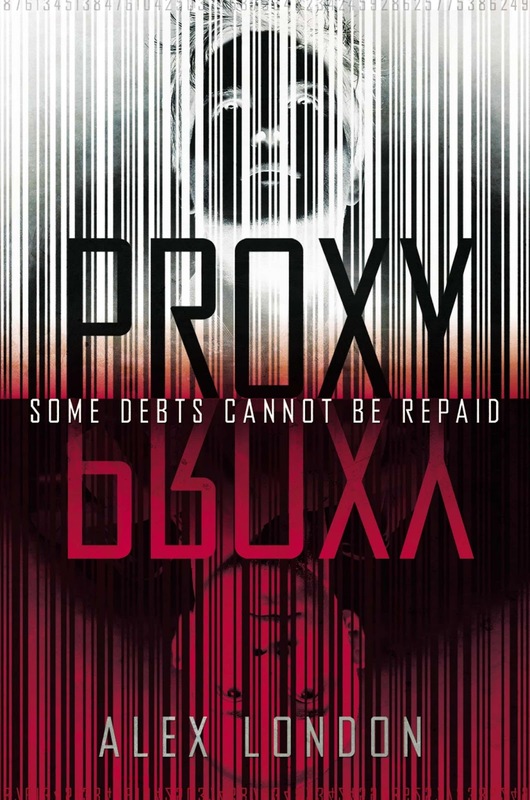 Learn more about Proxy by jumping over to Bookalicious tomorrow for the next tour stop! And enter the form below for a chance to win a copy of the book!